Ken Levine reveals that we may never get an original Bioshock Vita game after all. 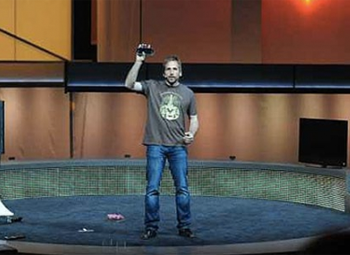 During Sony's E3 press conference back in 2011 Ken Levine, creator of the Bioshock series, announced that a Bioshock game was being developed for the PlayStation Vita. He later clarified the game wouldn't be a port of any of the released Bioshock games, "It's its own thing being built from the ground up." Flash forward to the present and we now know that such a game for the Vita isn't actually in development yet, it was ultimately just Levine being optimistic of the possibilities. However, he took to Twitter to divulge that his optimism is waning. He went on to explain to his followers that the game would likely be in the vein of Final Fantasy Tactics in a pre-fall Rapture. Because, as he states himself, "I'm a turn based whore." Here's to 2K and Sony getting their act together, but given how convoluted legal matters can be, Levine may never get his wish.